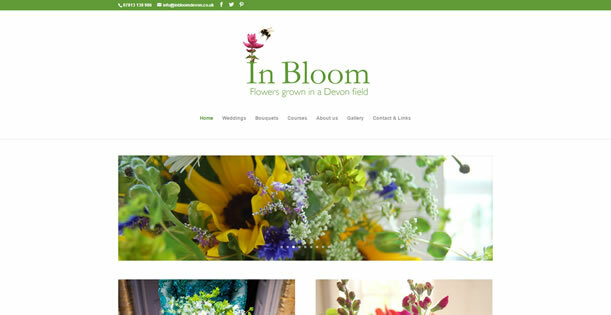 We produced a WordPress website for Jenny and Nicola at In Bloom Devon, producers of sustainably grown, British cut flowers from a field in Devon. They wanted a simple website that used the colour scheme from their pre-designed logo that Mike Krage over at Krage Design Studio had designed for them. The site is now fully responsive to keep up with the increasing mobile and tablet use, not to mention keeping Google happy along the way.